After a months-long investigation by the Brevard County Sheriff’s Office, officials announced numerous arrests in connection with a racketeering scheme and drug trafficking ring. According to a May 8, 2018 report in Florida Today, deputies seized cash, firearms, various types and amounts of controlled substances, cars, and all-terrain vehicles. The ring leader was charged with 13 counts on racketeering for his role in distributing heroin and cocaine to drug dealers throughout Central Florida; nine others were arrested on related charges and police stated they had arrest warrants for another 11 individuals involved in the racketeering organization. “Racketeering” is a broad term that covers a wide range of criminal activities in Florida and under federal law, so it is important to understand the nature of the charges if you have been arrested for these types of crimes. A crime falling under designated sections of the Florida version of RICO. Conspiring or attempts to commit these crimes. For purposes of the Florida statute, the definition of “pattern of racketeering activity” is key. It means engaging in two or more incidents of racketeering acts that share similar characteristics, which may be their intents, accomplices, victims, methods of commission, or other features that make the acts interconnected. You could face criminal charges for isolated incidents, but not for racketeering unless there is a link between and among the conduct. Note that there is the potential to be sentenced to treble damages in lieu of a fine. This means that you may be ordered to pay three times the value of the items you gained through racketeering activities. This punishment is also applicable if you caused personal injury, property damage, or other types of loss. Regardless of the seriousness of racketeering charges, there are numerous defenses available to fight for your rights. 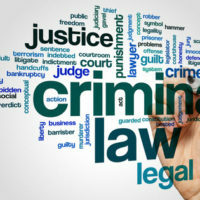 Because these cases are very complicated, you need a skilled criminal defense lawyer to represent your interests. To schedule a free consultation regarding your case, please contact the Fort Lauderdale office of attorney Kevin J. Kulik.